Chhattisgarh Chief Minister Raman Singh was leading by 1,200 votes over Congress nominee and former prime minister late Atal Bihari Vajpayee's niece Karuna Shukla in Rajnandgaon Assembly seat, as per the latest poll trends. Rajasthan: Congress has fallen from the three-digit mark to 99 seats, and BJP is still at 74 seats, while the Other secure 26 seats. BREAKING: There was a huddle chaired by Rahul Gandhi today. Rajasthan and MP was the focus of the discussion. 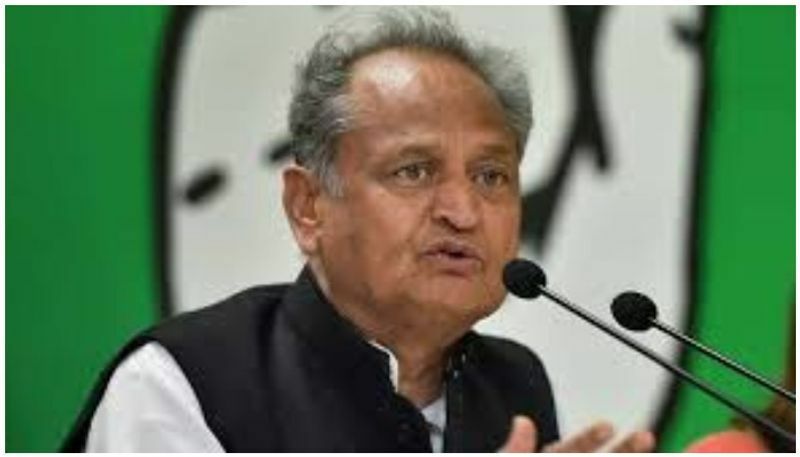 Congress has finalised on Ashok Gehlot as the CM of Rajasthan if they form the government. Telangana Rashtra Samithi (TRS) chief will take oath as the chief minister of the state at 12 PM tomorrow (December 12), along with 6 MLAs. Congress state president Bhupesh Baghel is leading in Patan. The BJP and the Congress are neck-to-neck in Madhya Pradesh. 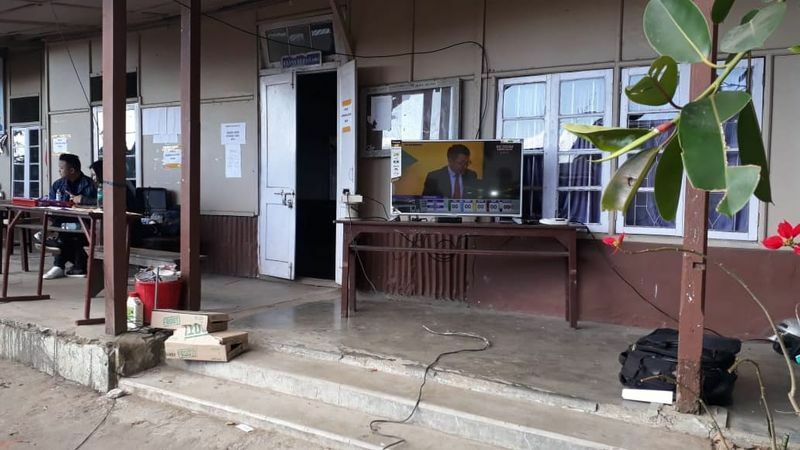 MNF wins Seriui, Aizawl West II, Tuichang, Champhai South, East Tuipui, Tuikum, Hrangturzo, Tawi, Lawngtiai East, Siaha seats. Mizoram CM Lal Thanhawla lost both seats. ZPM candidate Lalduhoma won the Serchhip seat. After sixth round, TRS president and Telangana caretaker Chief Minister K Chandrasekhar Rao is leading by 17,074 votes against Congress candidate Vanteru Pratap Reddy in Gajwel. 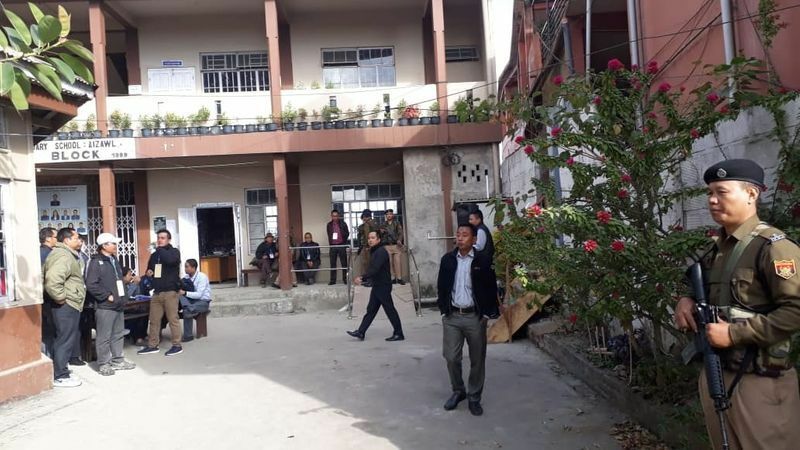 BJP opens account in Mizoram by winning the Tuichawang seats. 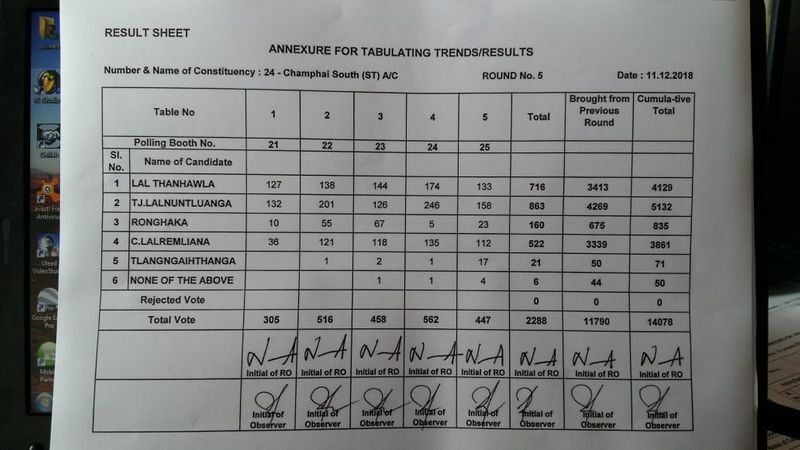 BJP candidate Buddha Dhan Chakma secured 11171 votes while MNF candidate got 9655 votes. MNF wins 10 seats and leading 15 seats. Congress wins 1 and leading 5, BJP wins 1, Other wins 2 and leads 6. Trends show Congress reaches majority mark in Madhya Pradesh. Congress gains an edge in Madhya Pradesh and Chhattisgarh. Close fight in Rajasthan. TRS, MNF heading for a win in Telangana and Mizoram. Telangana: Except for Uttam Kumar Reddy in Huzurnagar, Congress leaders including DK Aruna in Gadwal, Jeevan Reddy in Jagtial and Revanth Reddy in Kodangal are trailing behind. Congress crosses 50, with 52 seats in Chhattisgarh, and BJP trailing with 31 seats, followed by 3 seats for Mayawati's BSP. Congress is leading with 93 seats, followed by BJP with 79 seats and 16 for others in Rajasthan. MNF continues its lead in Mizoram. The Congress is now leading in 116 seats in Madhya Pradesh. That is the number of seats required to form the government. However, the contest is still close. BJP is leading in 99. BSP is leading in 7 constituencies. Rajasthan environment minister Gajendra Singh trailing by a margin of 1,375 votes in Lohawat. Madhya Pradesh CM Shivraj Singh Chouhan leads Congress rival Arun Yadav by 2,121 votes in Budhni. Chandrashekar Rao is leading in Gajwel. Chandrashekar Rao's son KT Rama Rao is leading in Sircilla against Congress’ KK Mahender Reddy and BJP’s N Narsa Goud. According to latest reports, Akbaruddin Owaisi of All India Majlis-e-Ittehadul Muslimeen has registered a massive win in Chandrayangutta. TRS is leading comfortably, whereas Praja Kutami is trailing behind. 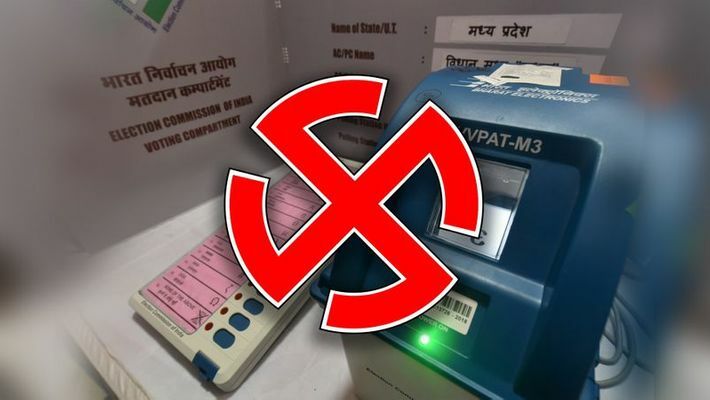 In the multi-phase polling, Chhattisgarh voted on November 12 (18 seats) and November 20 (72 seats); Madhya Pradesh (230 seats) and Mizoram (40 seats) on November 28; and Rajasthan (199 seats) and Telangana (119 seats) on December 7. Initial trends showed the Congress taking an early lead in the state, with Congress Rajasthan president Sachin Pilot is leading from Tonk, reported ANI. However, the BJP gained strength after the initial setback and is currently leading in the state. The BJP is leading in two seats in the first round of counting for Madhya Pradesh Assembly's 230 seats. The party is leading in Narsinghgarh and Sihora assembly constituencies, an election official said. The Telangana Rashtra Samithi (TRS) is leading in Telangana, followed by the alliance Praja Kutami that includes Telugu Desam Party (TDP) of Andhra Pradesh chief minister Chandrababu Naidu, Congress, Telangana Jana Samithi (TJS) and CPI. Early trends show BJP leading in 29 seats, whereas the Congress is leading in 23 and BSP in 4 seats. Initials trends show that Karuna Shukla is leading from Rajnandgaon seat. She is fighting against Chhattisgarh chief minister Raman Singh. Initial leads gave the Mizo National Front (MNF) an edge over the ruling Congress. The MNF, led by Zoramthanga, a former ally of the BJP in the state, had decided to contest independently. Early trends gave Congress just about 10 seats and the BJP just one seat.